Wow....Exciting news for those of us who love Thames History. "Top Shelf Productions are working on a brand new factual TV series about revitalising small town museums and historical sites around New Zealand. The series will screen on Choice TV next year. There are more than 500 heritage sites and museums in New Zealand with over ninety percent of them in desperate need ...of help. Usually run by local volunteers, these caretakers of our history are not only struggling for funds, but struggling to get people to see their exhibits. The show's presenter will visit these small towns and with support from the local community, they will help revitalise each site’s collections and reveal some of New Zealand’s most fascinating forgotten stories and treasures. The first episode will focus on the Thames Historical Museum, and will work collectively with the museum on an exciting new exhibit. This will be a display for Ted Egan’s beautifully carved scale model collection of early Thames buildings. They are looking for locals to help tell the stories of these buildings to help bring them back to life! Did you have a relative who worked in or help build one of those buildings? Do you have an item that belonged to the building or even old photographs? If you know of any fascinating stories of these early buildings or have some association with them, Top Shelf would like to hear from you! Some of the buildings in the collection are: Royal Hotel, Phoenix Brewery, Old Court House, Scrip Corner, James Mackay’s House and Hansen’s Haunted House. 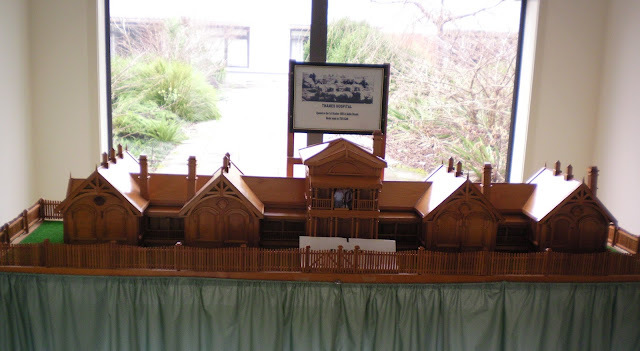 One of Mr Egan's amazing models - this is the Baillie Street Thames Hospital built 1900. It is in eastern foyer of Thames Hospital. This is similar to the models that Top Shelf Productions will be using to tell the history of Thames heritage sites. 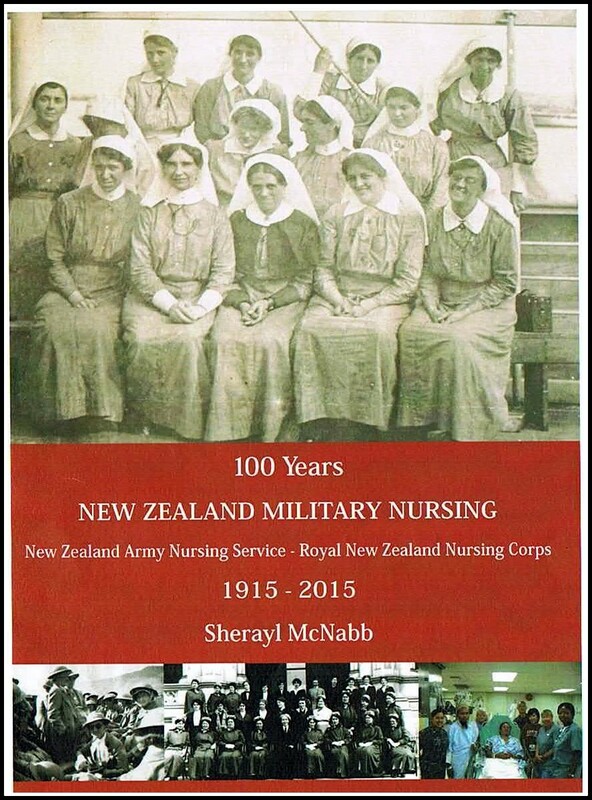 There is a new book available that contains information on our Thames Nurses who served in the military service. This covers the years 1915-2015. The title is: 100 Years New Zealand Military Nursing, New Zealand Army Nursing Service - Royal New Zealand Nursing Corps 1915 - 2015. The book is written by Sherayl McNabb. It builds on a previous title "New Zealand Military Nursing" that was co-written with David Corbett in 1990. Considerable information and photos that cover the history of military nursing. On the front cover is one of 'our' Thames trained nurses, Clara Hawkins. Clara returned to the hospital after the war, where she completed a couple of years as Matron of the Thames Hospital. In the top photo (right), Sister Clara Hawkins is seated in the front row, first on the left.